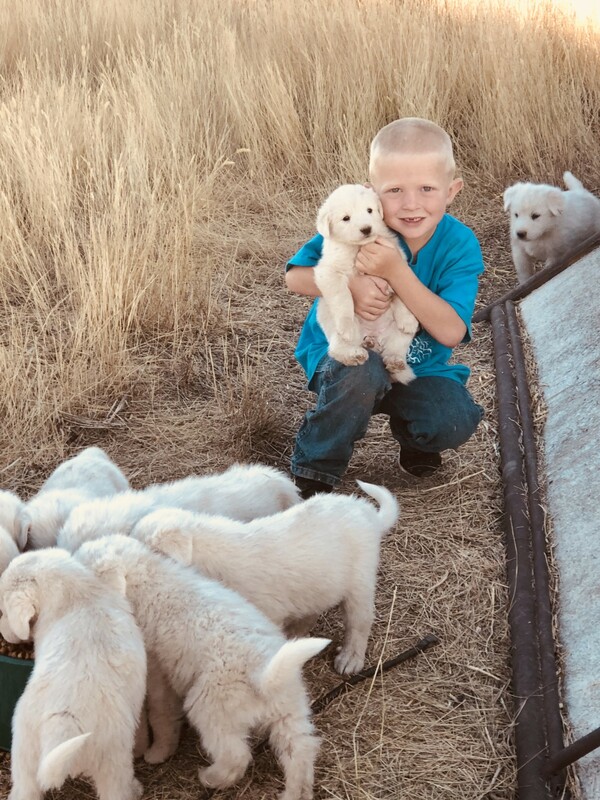 WORKING pure AKBASH Livestock Guardian Dog PUPPIES. We only have a few males and a few females left! Both parents are seasoned and devoted livestock guardian dogs and live with our sheep full time. Both are big, athletic dogs. They are gentle with our kids, good around our BC working dogs - but are diligent in their job of protecting the sheep. Puppies have been raised with sheep, goats, and kids and are well accustomed to ranch life. They have had their first set of vaccinations, have been dewormed and will be ready to go on or after October 1. We are located in SE Idaho. We may be able to help with transportation.